DevOps stormed its way into the world IT market due to its versatility and ability to bring about an increase in efficiency, reduction in cost and to help build cohesive work teams. In the old model, software development and operations were operating in self contained Silos, since they were treated as different entities. This attitude meant that there was hardly any interaction between the teams. Once development handed over the app to the operations team, at times, the app would not function properly, leading to angry and dissatisfied customers. The introduction of DevOps radically changed the work culture in IT enterprises for the better. Instead of development and operations teams working in isolation, DevOps acted as a bridge. DevOps changed the work culture from isolation to collaboration, resulting in greater interaction between the teams. Each team knew what the other was doing and what each other’s requirements were. App failures at launch, became much more rarer and in the event it did, corrective action could be taken immediately. Also, DevOps ensured that the infrastructure could remain in place while development was taking place in the background. The DevOps Training imparted by our renowned Institute in Chennai, ensures that the students are imparted with a strong base of the fundamentals of DevOps, before the training modules move on to more complex topics. This in-depth training enables students to develop a technical aptitude for innovation and troubleshooting when required. 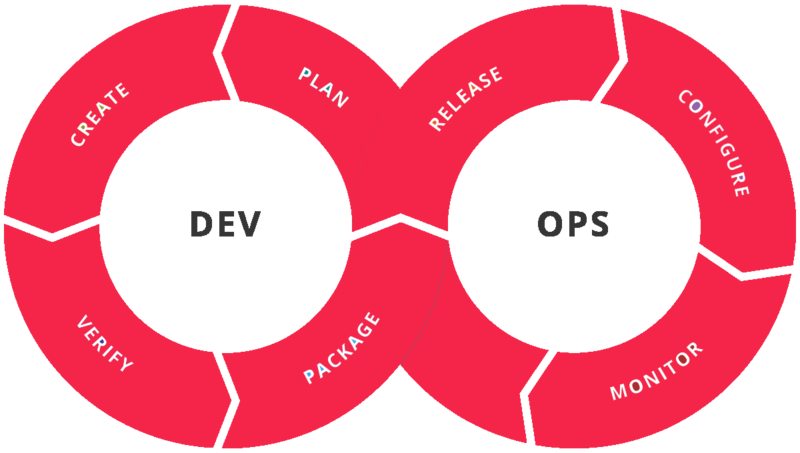 Since DevOps optimizes procedures from development to delivery, it saves the company resources and costs, at the same time utilizing staff in a cohesive manner from start to finish. Since all teams are working in tandem and close collaboration, they are on the same page and delivery time is shortened. In addition, in the event of the application failing, detection and rectification of the problem can be done in the shortest possible time. The DevOps culture has been widely accepted all over the world. To get good job in the IT industry in the field of DevOps, it is essential to have proper training and certification. Our team of experienced and expert trainers have put together a training schedule in-house, to ensure that students get a thorough exposure to DevOps, both in theory and practice. • The training modules give students an in-depth knowledge of the subject. In addition to the basic principles and processes of DevOps, students are also given a detailed knowledge of how the server is to be installed and configured. The practical aspect of this module ensures the student develops a sound technical knowledge so as to make decisions, as confidently as an experienced DevOps hand. •	By imparting training on server management using infrastructure as a code concept, our students are able to gain a lot of knowledge in the field of cyber security and data encryption. This is a big plus when looking for placements. Why Choose JPM Edu Solutions ? Since many of our students are already working and looking to get additional certifications, we offer a highly flexible time table to suit most needs. Depending on the time you can spend on your training, the duration will vary. This flexibility is very convenient for students. We charge only moderate fees for such an intensive course. The DevOps Certification Training course has been developed in-house by our highly experienced trainers and takes you through an intensive course, in a step by step logical process. The course syllabus [click here], is divided into well defined modules and it not only gives a solid foundation to the student about DevOps, but also contains practical training and offers scope for self learning. This approach gives the student a detailed insight into DevOps and makes them confident when facing the certification process. It is undoubtedly the best DevOps training course in Chennai. If you need further information about DevOps Training in Chennai, please feel free to contact us at [email protected] or call +91 7550194475 . When you join our DevOps Certification Training, you are embarking on a good career choice.